Rob Boe and I recently met with Chief Nadeau of the Columbia Heights Police Department (CHPD) and were impressed with their implementation of two specific programs. First, the police department has implemented the much-talked-about Training Safety Officer (or TSO) Program. Second, the police department has just implemented a Stretch ‘N Bend Program for their sworn police officers. 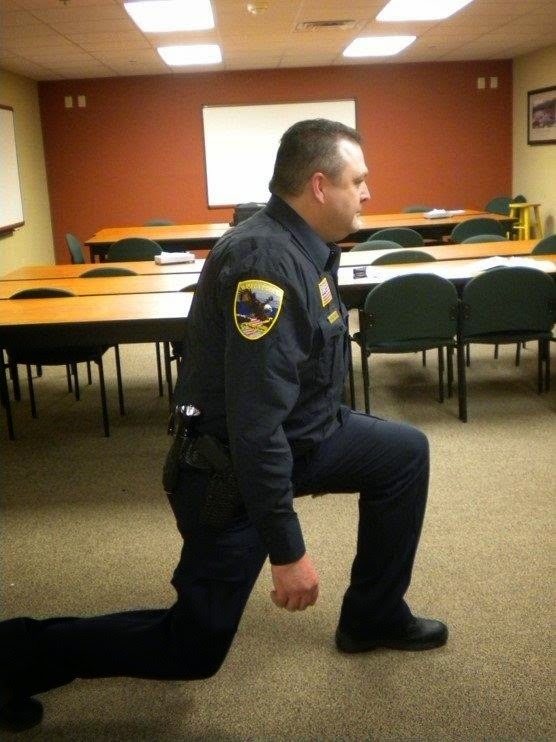 Sergeant Justin Pletcher, who is in charge of the wellness initiatives at CHPD, says their stretching program was initiated in November of 2014 and was modeled after the Stretch ‘N Bend program of Mortenson Construction Company. The initial response from the police officers was about 50/50 positive feedback, with some of the senior officers questioning its purpose. With the premise that the program be either an “all-or-nothing” program, leadership decided to make their exercise program mandatory so that all of the police officers would participate. With the help of a roll call PowerPoint presentation showing how to complete the exercises, the program has gained more positive feedback, and they will be adding some additional exercises to their program. The exercises are now done at every roll call for the morning, middle, and evening shifts—and the officers have actually commented that they feel better after completing the exercises (i.e. the “buy-in” has been good). With a goal to reduce—if not eliminate—worker injuries, the program was put in place by CHPD, and the results have been positive. Some of the benefits of taking the time to stretch your muscles are that stretching prepares your body for work activities, increases your flexibility, promotes better blood circulation, improves your range of motion, enhances muscle coordination and body awareness, delays muscle fatigue, reduces the incidence and severity of injury, and increases team morale. An onsite stretching program needs to encourage all employees to participate. It is recommended that the Stretch ‘N Bend program be conducted during the shift briefings that most police and fire departments hold. These stretching programs typically do not last longer than 5-10 minutes and are led by a designated volunteer or shift supervisor. We will continue to follow up with CHPD as to the results of their new program. Nice job, and thanks for setting an example for other public safety agencies to follow! Would you be interested in learning more about this Stretch ‘N Bend program for everyday use within your police or fire department? We would like to hear your thoughts. Please forward your ideas, and we will compile a list of the responses as well as respond to your requests. 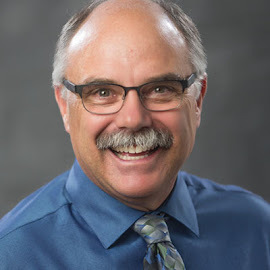 Send your ideas, questions, or comments to tstille@lmc.org, or give me a call at (651) 215-4051. Additionally, you may contact Sgt. Justin Pletcher at the Columbia Heights Police Department at (763) 706-8100 to get direct feedback on their program.